Made of top quality USP Type 1 Borosillicate (Pyrex-type) glass, our vials come complete with Polycone caps. 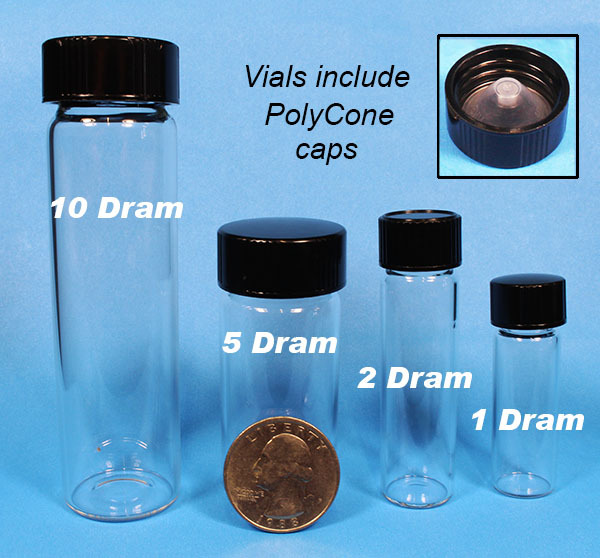 These are not the typical paper lined caps found on inexpensive vials - they are airtight sealing black phenolic caps with polypropylene cone liners. These produce excellent and reliable seals for your vial contents. Great for element sample collecting, sample testing, and storage of small quantities of liquids or tiny parts. 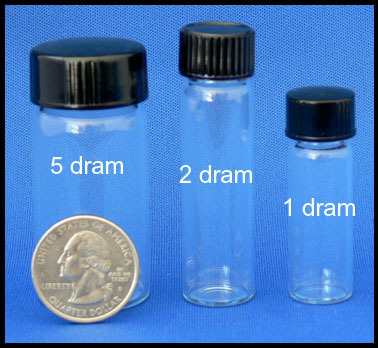 Available in 1 dram, 2 dram or 5 dram sizes (choose size below).